This 58 was bought by a 24 year old. Who says millennials don’t buy vintage? Got your attention now, don’t I? OK, nobody is dying but the conventional wisdom has been that the vintage market will die as soon as the baby boomers (born 1946-1964) stop buying guitars. Where did this so called conventional wisdom come from? Well, not from me, that’s for sure. It’s most likely the result of simple logic. 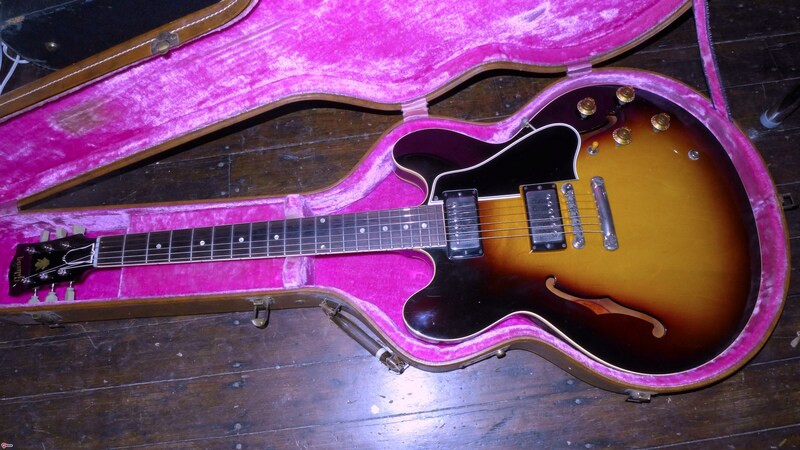 Most of the folks buying guitars from the 50’s and 60’s are folks who coveted those guitars as teenagers. It’s the same logic that the vintage automobile market clung to until it simply didn’t pan out that way. There is some truth to the logic but it isn’t the big picture. 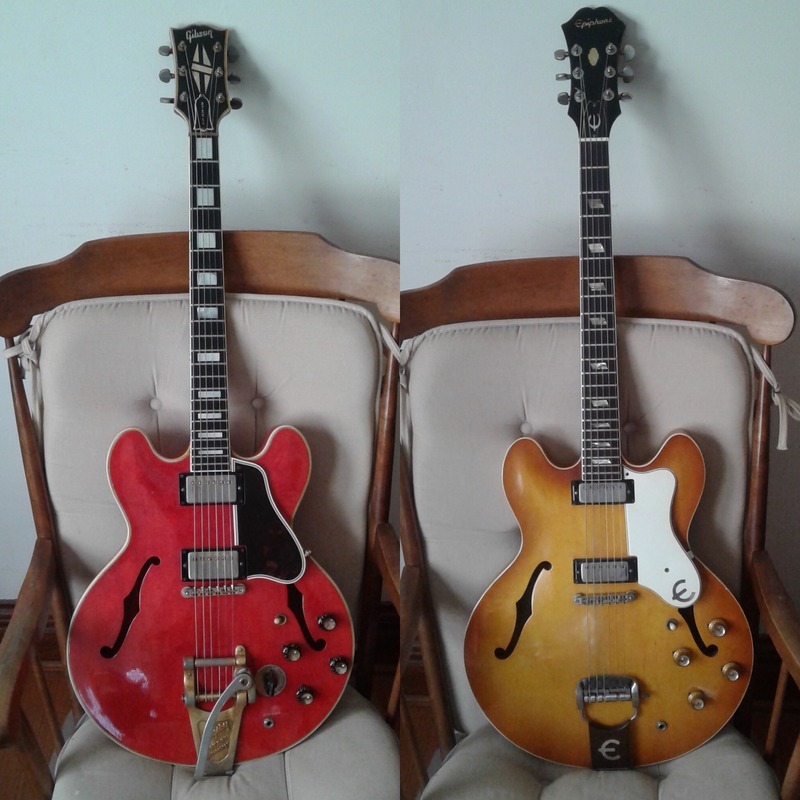 I’ve been buying and selling vintage guitars for about twenty years now. I started back in the mid 90’s, when the internet and, specifically, Ebay, opened up a worldwide market . It was a hobby until around 2006 when I started getting serious and my main source of income since 2010. From the mid 90’s until now, it is absolutely true that my biggest and most frequent customers have been between the ages of 50 and 65. Interestingly, the age of the clientele stayed about the same between then and now. Of course, if you were 50 in 1995, you are now at the top end of that range and if you were 65, you are probably not buying guitars any more (or anything else for that matter). I believe those who subscribe to the conventional wisdom about the vintage market have their data correct but they have misinterpreted it. I believe it has more to do with disposable income than it has to do with what guitars you grew up wanting. At around age 50-55 a lot of things in your life can change. Your mortgage may be paid off, your kids are out of the house and you may have downsized, college expenses are finished and your income is higher than its ever been. It doesn’t take an economist to figure this out-you simply have more money to spend. But it doesn’t end there. The belief that the generation behind the baby boomers won’t be interested in guitars from the 50’s and 60’s is faulty. Guitars from the 50’s and 60’s (and some 30’s and 40’s) are better instruments than most of them being made now. There is no doubt that there are some extremely good guitars being made today-especially from boutique builders. But the market still loves the classics and that’s what those conventional thinkers have missed. Disagree? here are some hard facts. I sell around 100 guitars a year. I keep track of the demographics of who is buying what. The big surprise this year was that nearly half of the high end vintage guitars sold by me were bought by folks under the age of 50. That still means lots of 50 and 60 somethings are buying guitars but, as they say in the commercials, wait..there’s more. It’s a little nitpicky but i sold a lot of guitars to buyers in the range of 50-55. Now, I don’t ask everybody how old they are when they buy something but I get a pretty good sense of it from the conversations. Note that a 50 year old in 2018 is not a baby boomer. I sold six vintage guitars in November. Only one buyer was over 60. One was 24. Two were in their 40’s and two were in there 50’s. The demographics are very similar for the entire year. Last year was a bit different-more boomers. Same with the year before. So, is 2018 a fluke or a sustainable change in the market place? Stay tuned. I’m betting on the latter. This stunning 59 didn’t go to a millennial but it didn’t go to a baby boomer either. Charlie, very interesting! Happy to hear younger folk are purchasing Golden Age Gibsons, carrying the torch. As a wise sage pointed out, vintage guitar owners are really more caretakers, loving the instrument until it passes on to the next fortunate player! I am 28 and I’ve been buying and selling vintage guitars for about 10 years already. I believe that there is less people my age that are into electric guitars. It may affect the market one day but I am sure the interest in vintage guitars will remain for many more decades. That is probably true but there is a pretty large segment of players between your age and mine. If 40 year olds are still into vintage electrics, then the market has at least 25 years left in it. I should be dead by then. Great subject. I’m 34, been collecting guitars since high school (back when buying guitars online was an especially dangerous gamble!). Just this week I bought a 1960 355 TDSV and a ’64 Epi Riviera – both from the original owner. It was clearly a case of a boomer selling his collection. Those “in the know” will always want guitars from this era, but I theorize that there aren’t enough younger buyers (like myself, Arthur above and the 24-year-old buyer of the ’58) to float the market in 10-15 years. Luckily I don’t really care, either. I’m happy to play these old guitars in a decade, regardless of their value. I’m with Collin above. I’m 37 and have been hooked on vintage ever since my dad bought me a 1969 Fender Mustang (competition orange – still have it) back when I was 13. 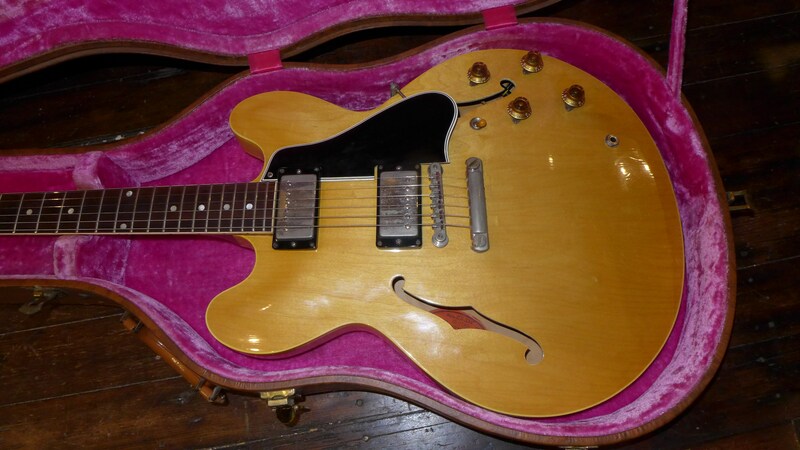 I’ll continue to buy vintage, but the guys I gig around with have no clue what a 59 ES-335 is worth and think spending more than $3500 for a guitar is insane. Right on young-uns! Keep on Rockin’ or Bluesin’! P.S. Collin, post some photos of your 355 and Riviera if you get a chance! I think the market will survive, but evolve: small and more “niche” oriented. The two biggest impediments may be affordability and lack of prominent role models (aka “Guitar Gods”). You know the old line about real estate–“location, location, location”. In vintage guitars it could well be “Clapton, Clapton, Clapton” — who probably had a greater influence on the entire vintage market/boom than anyone else. Today’s most prominent players under-50 who are associated with vintage gear include Joe Bonamassa (41) John Mayer (also 41), Gary Clark, Jr. (34), Derek Trucks (39), Kirk Douglas of the Roots (45) — for the most part associated with blues and roots/R&B, which is a pretty narrow audience. Billy Joe Armstrong of Green Day (46) is associated with a modified Les Paul Jr – and he’s got his Gibson Artist model – but he doesn’t have the guitar god following like that of Clapton/Page/Beck. Look at the Gibson and Fender artist lines–mostly older with a few younger players who gravitate toward more modern instruments, not vintage relics. And some of the rock players who pick up on older instruments end up putting a gloss on some awful but affordable “vintage” guitars (like a “Kings of Leon” 1970s ES-325 — UGHHH). One bright spot may be country (which, as an industry, is now a throwback to 70s country/southern rock): players like Brad Paisley (46), who might help sell a few real 60s paisley Telecasters. But most country guitarists are playing with reissues or modern takes on classics. Consider this: in the past 10 years, the most prominent exposure to young people of a vintage guitar model or style may have been the plastic Les Paul featured in the Guitar Hero video game! The market needs GuitarGods2.0: a few guitar superstars (or guitarists in susperstar bands) who can rekindle enthusiasm for “real” vintage gear. The stats that will escape you are the young guys that seek and acquire vintage guitars, but not through vintage stores and not at retail prices. Finding a score locally, trading, their neighbour, grandad, bandmates, uncle etc. I started young with a 64 Pbass at 17 from a pawnshop, 70s SG at age 19, 66 strat age 20 from an old guitar tutor, given a 62 es345 carcass at 21. My list of amps is ridiculous and ever growing starting with an Ampeg v4 at age 17. I’ve never paid the going price for anything, they were all scores and hustles. As much as possible, I have turned friends my age onto vintage gear all along. Here’s a shot of the Riviera and 355, for RAB. Enjoy! Then there’s newer bands like Tame Impala who are popularizing certain vintage Rickenbackers. Point is really that – because of the values – there just aren’t as many younger guys or their guitar god heroes playing golden era Gibson models or pre-CBS Strats and Teles. I’ll admit that even my love for the ES-355 is clearly influenced by Oasis’ Noel Gallagher and The Smiths’ Johnny Marr – both players that are an entire generation away from Eric Clapton and his 60s peers. Hey Collin – really great points you raise. And I agree that the “silver age” (if I can borrow a comic book metaphor) vintage guitars are models outside the “classic vintage (Les Paui, 335, Strat, Tele) that remained affordable for players coming of age in the 1990s and beyond. Yes the Jazzmasters and Jags got very cool. The other side of the more recent vintage market is “lo-fi” vintage — Jack White, Dan Auerbach of the Black Keys, Deke Dickerson– having a love fest over old Nationals, Hallmarks, Harmonys, Silvertones, Kays, and Airlines. In fact they’re driving up the prices of Reso-Glas Nationals and Harmony Stratotones just like the “first wave” did with Gibsons and Fenders.